An Eastern Europe, Middle Eastern and Asia Minor favorite. 1. Combine the above ingredients and gently knead into a dough. A little water may be added to ease the blending. 1. Core 1 or 2 large heads of cabbage and immerse in boiling water until the leaves wilt and become soft. 2. 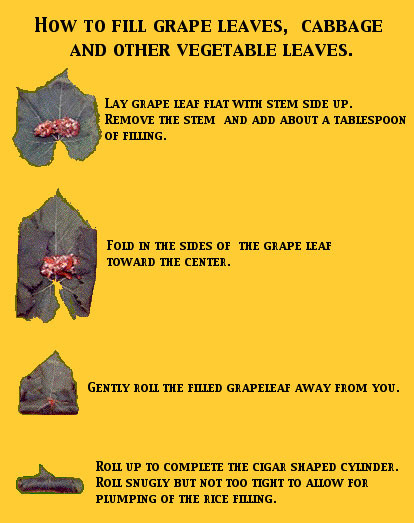 Separate the leaves and cut out the hard veins. The very large leaves may be cut in half. 3. 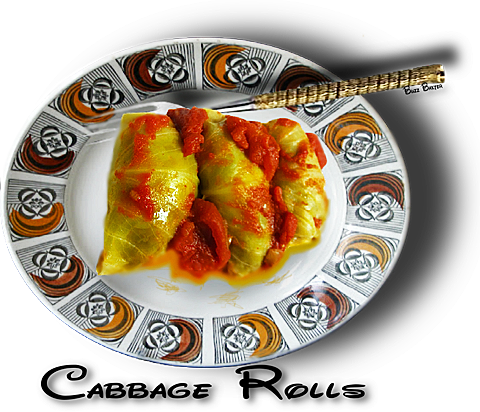 Take a large teaspoon of the filling and place on the cabbage leaf and roll up turning in the ends. 5. Pour over the crushed tomatoes or tomato sauce, lemon juice and broth or 1 cup of water. 6. Cover and cook in a preheated 350℉ oven for about 1 hour.